Queensland and New South Wales are the most easterneastereastI don't know of the Australian states. (National Museum) Canberra is the capital inoffromI don't know Australia. Seasons in Australia are the reverse of thatthesethoseI don't know in Europe. June and July are the coldest months. The middle part of the country is called the outback. The outback does not get very manymoremuchI don't know rain and is very dry. 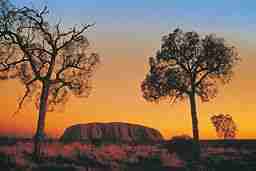 Ayers Rock (Uluru) is located in the outback in the Northern Territory. It is the world 's largestlargermore largeI don't know monolith and an aboriginal sacred site. 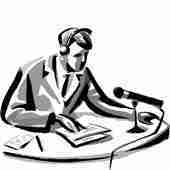 use a radio to hear their teachers'teachers'steacherI don't know lessons. Australia's national sport is cricket but rugby and football are also quitquietlyfairlyI don't know popular. 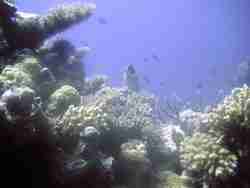 The Great Barrier Reef is made up of coral and alguae. 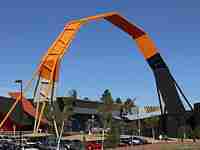 It is the world's largest livinglivealiveI don't know structure. Kangaroos and koalas are native onattoI don't know Australia. Koalas are endangered. Australia was first used as a prison colony. The first free settlers landed in Sydney which is now the largest city.